Now that Skye has started perching on my finger inside the cage, I feel like I can start letting him explore the bedroom (under supervision) very soon. I have been looking to buy a play-gym to give him somewhere safe to perch outside the cage, but it seems that the only ones available in my area are designed for much larger birds (eg Eclectus, Cockatoos etc). Does anyone have any suggestions for where to buy a budgie-sized one? The other options is to make one myself, but I'm not sure how to make one which is safe & won't fall apart. - I like the idea of a branch/small tree in a pot as an alternative too, is this a good option (as long as the plant/wood is safe)? Last edited by GypsyVanner; 02-18-2019 at 08:18 PM. Reason: Fixing typo. If you can’t find small bird gyms in person, you can either look online, or design one yourself. 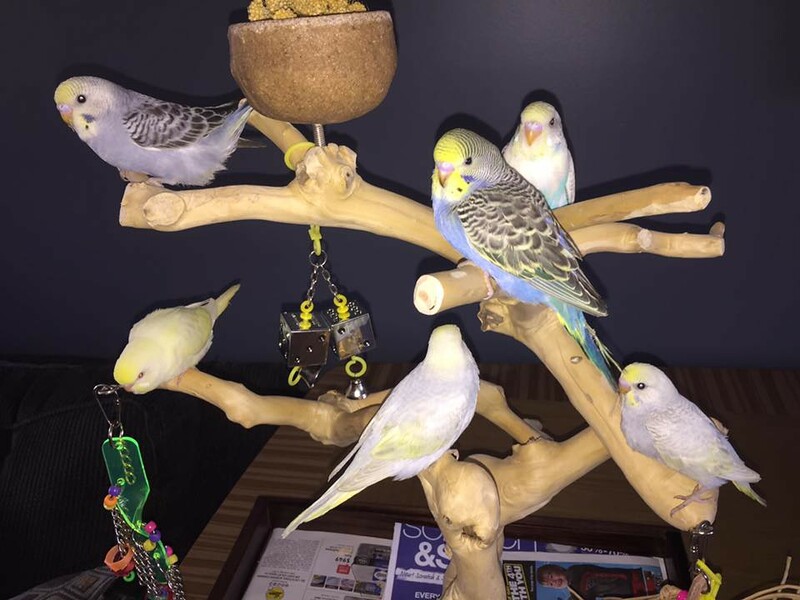 If you’re inclined to make one, check out our Do-It-Yourself section here: https://www.talkbudgies.com/45-do-yourself/ This is a sub-section that can be found under General Budgie Talk. You’ll find Stickies on safe materials, and ideas in the posts. Thank you, I thought I remembered seeing info about building a play-gym in a sticky somewhere but couldn't seem to find it. i've tried a few of the amazon play gyms and have found them to be quite flimsy. I ended up asking hubby to glue/nail them together, but that didn't work out so well. 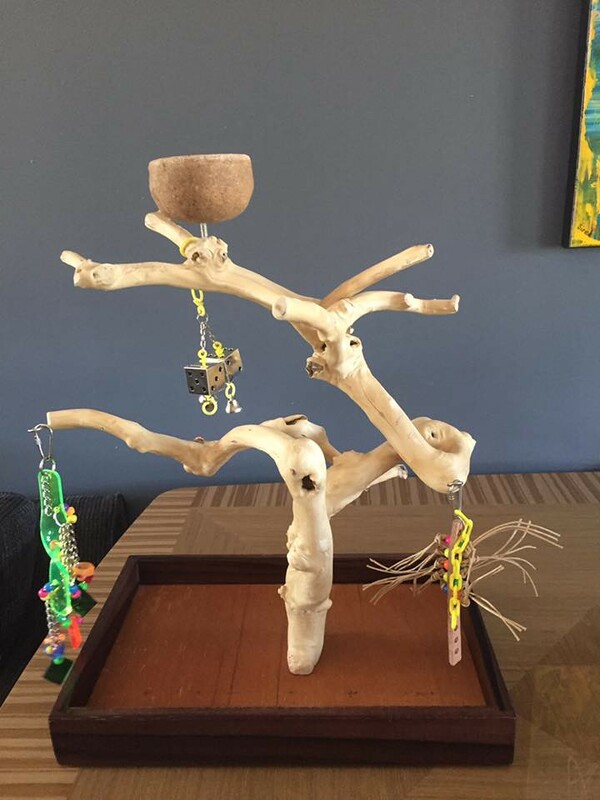 I saved up and bought a nice Java tree, and it has hooks screwed into it to hang toys from, and a dish on top for water or treats. I love the java tree Michelle! Those are really nice. It’s fun seeing all the designs and configurations Java wood naturally comes in! They’re pricey even for little ones, but sturdy and will last forever. Get the best for your budgie unless you want to replace it regularly. Remember your budgie will probably last up to 15 years... will the play gym?